Donald Trump: A True Friend Of Israel Or Enemy In Disguise? December 14, 2017 – Is Donald Trump A True Friend Of Israel Or Enemy In Disguise? 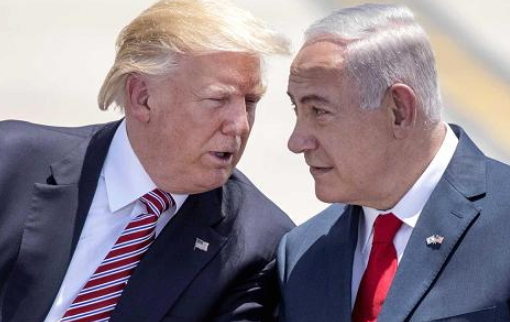 With friends like the 45th President of United States of America, Donald Trump, Israel possibly needs not worry about the danger posed by Hamas – the Palestinian resistance movement. Gaza is firmly under the heels of Hamas which unapologetically remains hard put to recognize the state of Israel. Last Wednesday, December 6, President Donald Trump acted true to character as a renegade President of US to unilaterally recognize Jerusalem as the capital of the State of Israel. He even dared to announce the relocation of the US Embassy from Tel Aviv to Jerusalem! 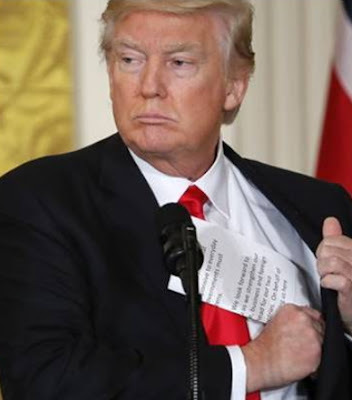 Of course there is already a bagful of his renegade policies; repeal of Obamacare, renege on Climate treaty, reversal of the deal with Iran, reversal of Cuba-America detente, ad infinitum! No country parades such a president mid-way in the first term! True to expectation, amidst global outrage which trails Trump’s diplomatic provocation, Hamas leader Ismail Haniya declared the US decision on Jerusalem as “war declaration against Palestinians”. He called for a new “Intifada”, an uprising. The critical question begging for an answer is what manner of a friend of Israel is Trump, who through sheer political brigandage pushes Israel back to the brink of intifada (a Palestinian insurgency manifesting in series of violent acts and attacks against the Israeli occupation lasting from December 1987 to 2014 in which both the Palestinians and Israelis buried their dead)? A received African wisdom has it that “a close friend can become a close enemy”! With friends like Trump, Israel does not need to worry about Hamas leader Ismail Haniya. This is another paradox of Middle East’s intractable conflicts; both the enemies and so-called friends of Israel achieve same goal: keeping the state of Israel in perpetual war of attrition! Reading through the 1250 plus word counts of President Donald Trump recognition of Jerusalem as the capital of Israel reminds me of the opening sentence by Simon Seberg Montefiore in his preface to his best-selling “Speeches that Changed the World” (2005). According to Simon, a “great speech does not just capture the truth of the era; it can also capture the big lie”. President Donald Trump’s speech is comparable to Adolf Hitler’s demagoguery of September 1938. According to Donald Trump, his predecessors had invoked “waivers” refusing to move the US embassy to Jerusalem or to recognize Jerusalem as Israel’s capital city. Apparently, Trump did not invent the idea of Jerusalem as the Israel’s capital after all, contrary to his verbal appropriation and empty grandstanding. Why should Trump then be “holier than the Pope”, even when we have just witnessed many devilish details (tear gas, stone-throwing, shootings and killings!) in the aftermath of his unthinking self-serving diplomatic adventure? Former American presidents correctly set their eyes on peace in a war-torn region. This explained their measured discretion in applying the controversial 1995 American Jerusalem Embassy Act. It is tragi-comedy that a trigger happy President Trump bent on diverting attention from his domestic woes needs a diplomatic blunder to prove his “courage”! To Secretary General of United Nations, Antonio Guterres, “Jerusalem is a final-status issue that must be resolved through direct negotiations between the two parties on the basis of the relevant Security Council and General Assembly resolutions, taking into account the legitimate concerns of both the Palestinian and the Israeli sides”. “In this moment of great anxiety, I want to make it clear: There is no alternative to the two-state solution,” he said. “There is no Plan B.”! 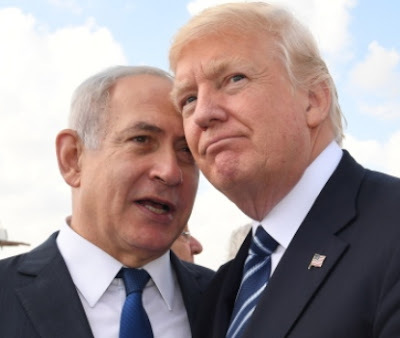 It is really true that bad friends like Trump will prevent Israel from having good friends. By the way, I searched in vain for Nigeria’s position on the latest Donald Trump’s diplomatic reckless adventure in Jerusalem. It’s time President Muhammed Buhari worked his talk at the 2017 UN General Assembly in September on key foreign policy issues such as Middle East crisis. Increasingly, Nigeria’s voice is lost on topical international issues. At best Nigerian foreign policy has become reactionary, reacting than setting agenda for genuine global discourse. MR WRITER ISSA,A MUSLIM CRITIC WILL NOT UNDERSTAND THE ISSUE NOT TO MENTION OF PERSECUTION AND HOLOCAUST OF JEWS.WHERE WERE U WHEN OBJ CEDED BAKKASSI TO CAMEROON AND PEOPLE ARE DYING THERE RIGHT NOW EVEN AS PAST HEAD OF STATES AVOIDED THE ISSUE.MR WRITER,WHAT OF THE BORN TO RULE IDEOLOGY,BOKO HARAM POLITICS TO SILENCE THE SOUTH,THE HERDSMEN CONSPIRACY TO BUTCHER ,IS IT NOT EXTRA JUDICIAL KILLING,THE 5 PERCENTERS EQUATION WHO DONT BELONG TO THE UNION.PLEASE ADRESS OUR DOMESTIC ISSUE AND LEAVE TRUMP AND ISREAL AND MIDDLE EAST TO SORT THEIR ISSUES OUT.